Refinery29 is the leading media & entertainment company focused on women with a global audience footprint of 425 million across all platforms. 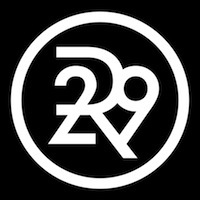 Through a variety of lifestyle stories, original video programming, social, shareable content, & live experiences, Refinery29 provides its audience with the inspiration & tools to discover & pursue a more independent, stylish, & informed life. Please visitwww.refinery29.com/en-us,www.refinery29.com/en-ca,www.refinery29.ukandwww.refinery29.de for more information & to browse content.